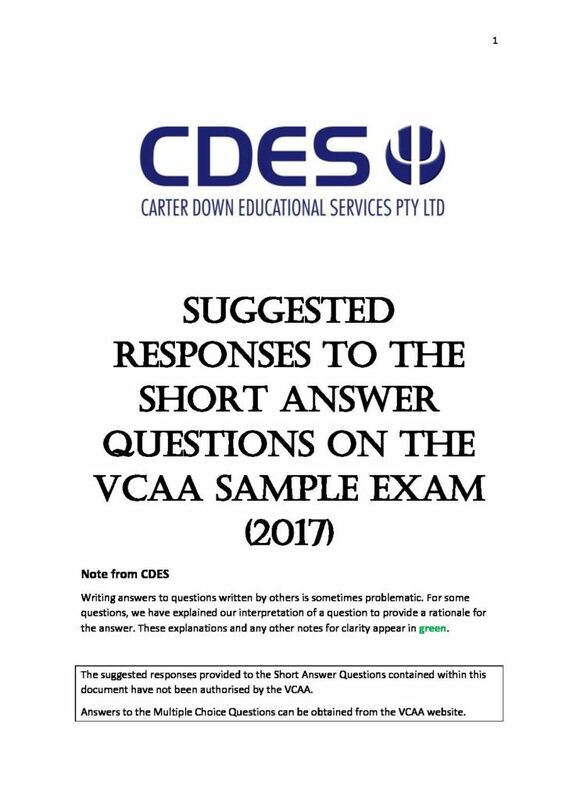 The Suggested Responses to the VCAA VCE Psychology Sample Exam – Section B has been prepared by CDES and has not been authorised by the VCAA. 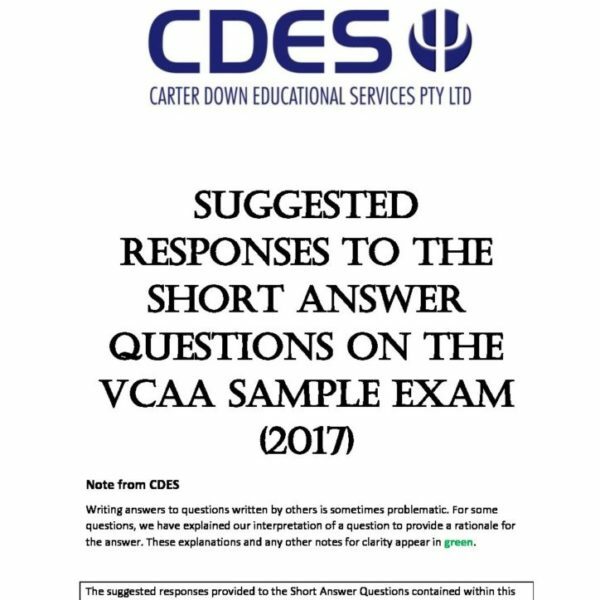 Any queries about the answers should be directed to CDES and not to the VCAA. A Tax Invoice containing payment details will be automatically generated and emailed once an online order has been received. Once payment has been received, an email with a unique download link will be sent to the person who has made the purchase. This link will provide download access to the Suggested Answers. The link can only be used ONCE so please ensure downloaded answers are saved when they are accessed. Click ‘Order Online’ to continue. You’ll enter your details on the next page. Please Note: We cannot process school Purchase Orders without a corresponding online order as we require full contact details to generate the Tax Invoice and ensure direct email delivery of the Suggested Answers once payment is received.